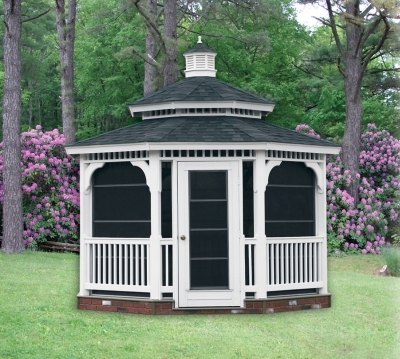 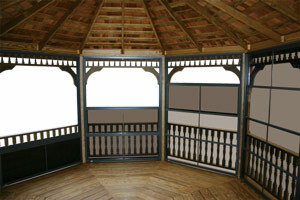 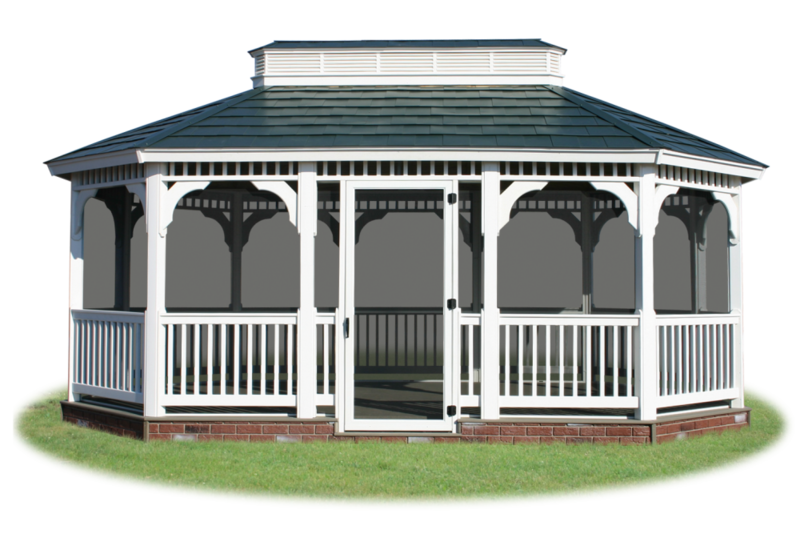 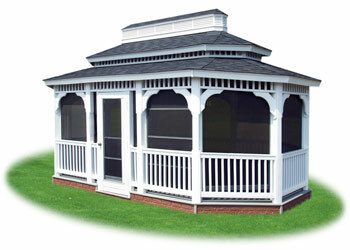 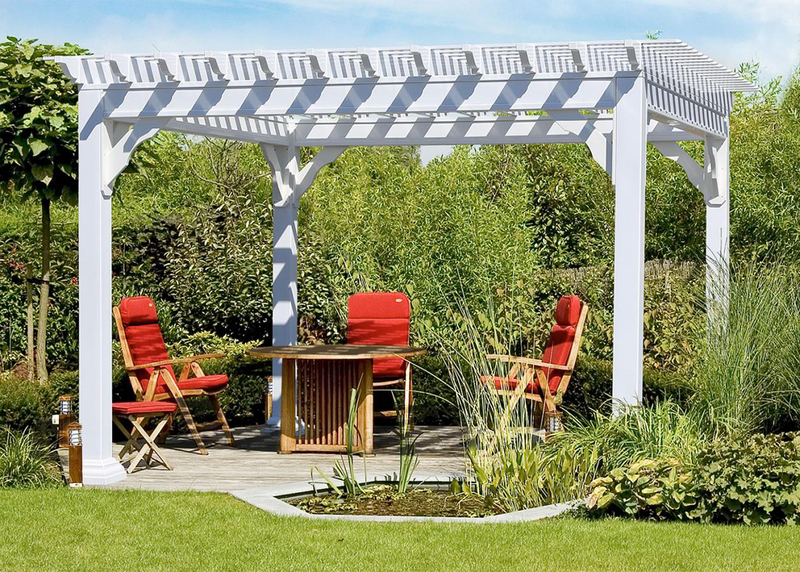 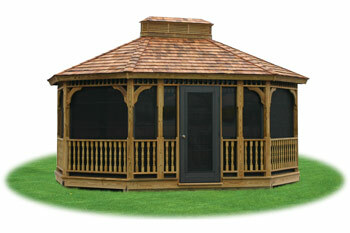 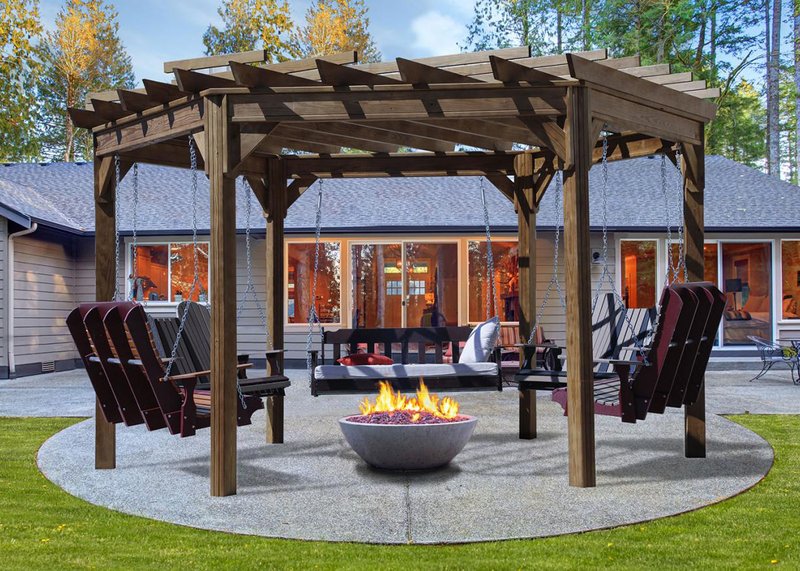 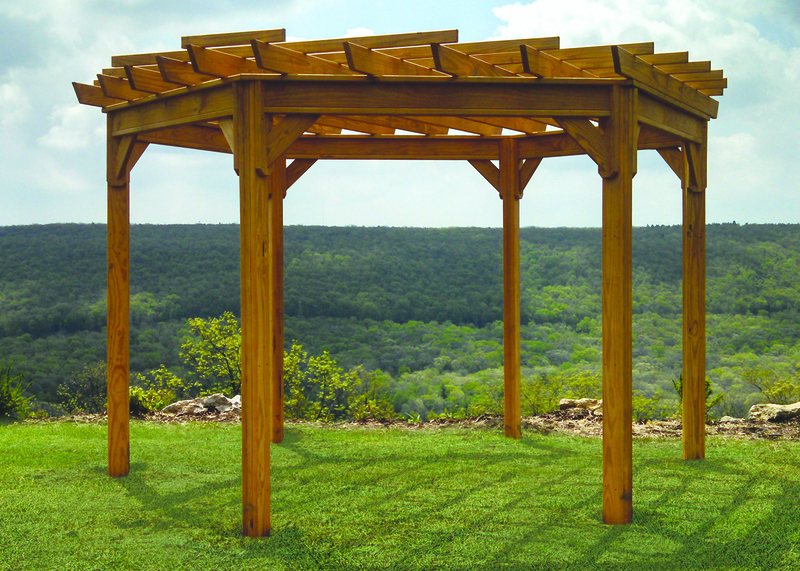 Pergolas are an attractive yet inexpensive addition to your landscape. 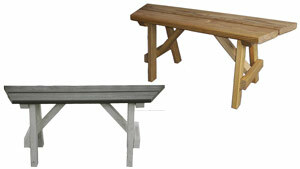 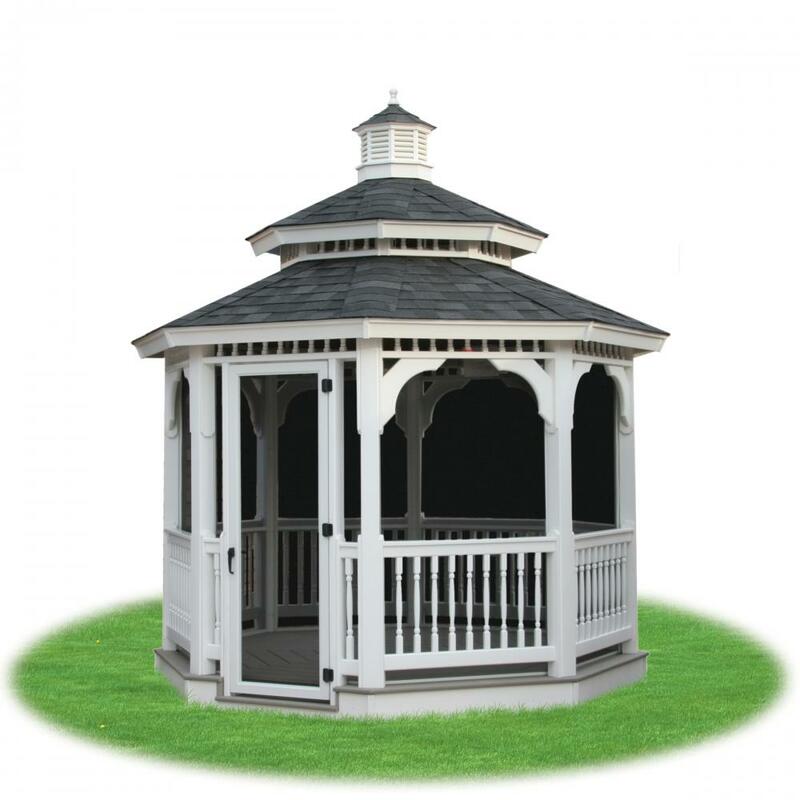 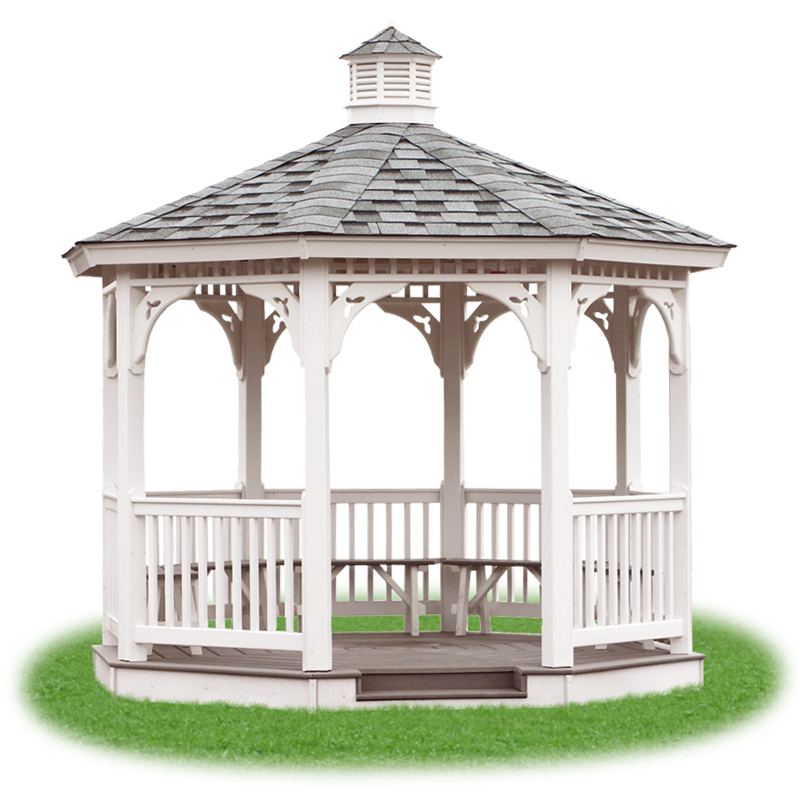 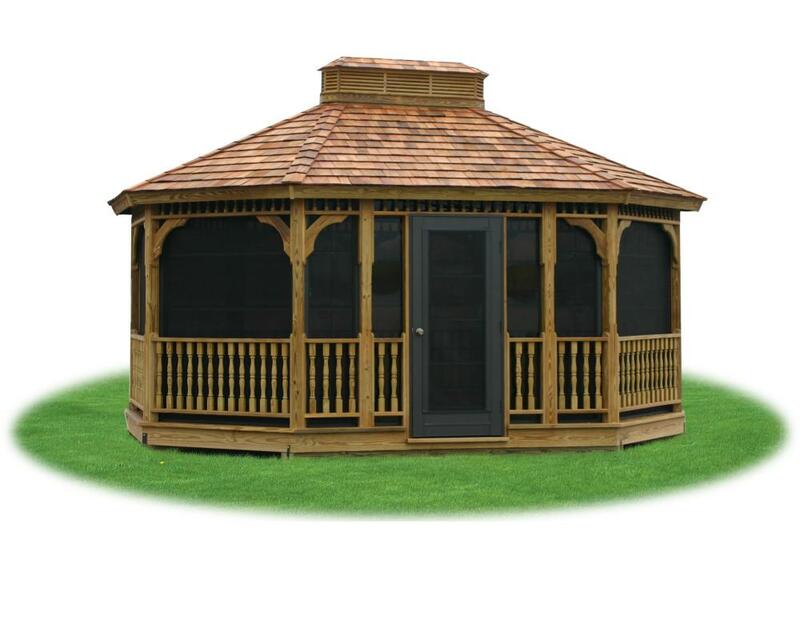 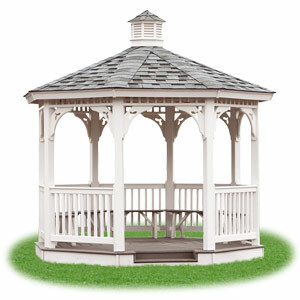 They are perfect for creating an outdoor gathering space for both parties and everyday outdoor activities! 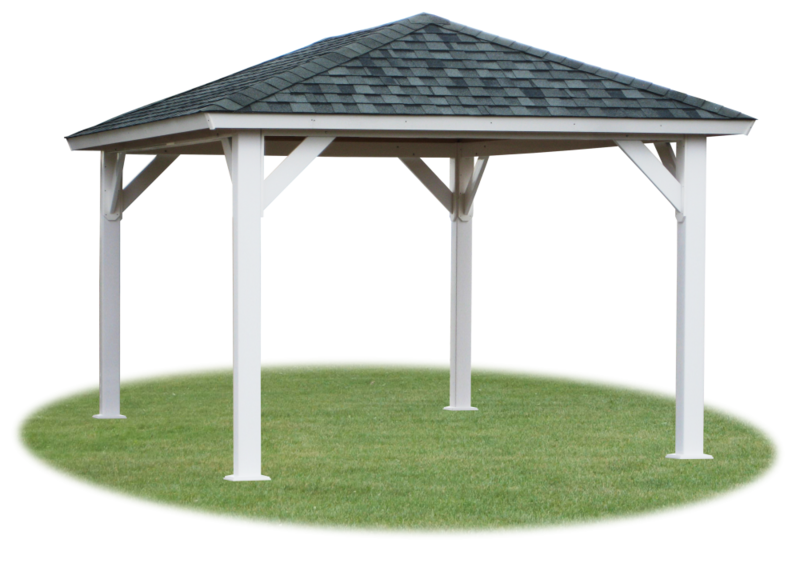 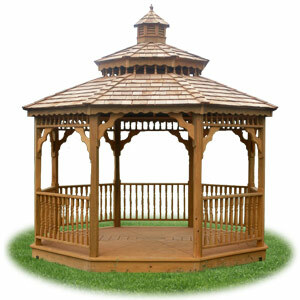 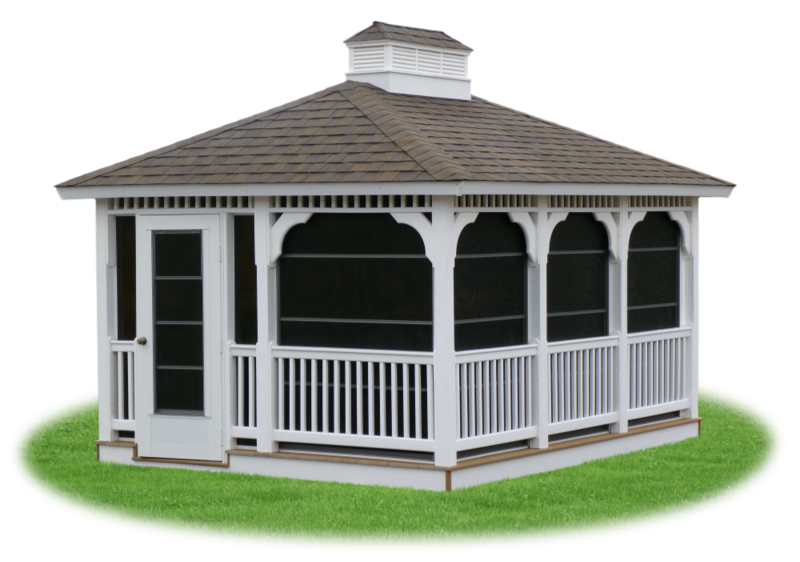 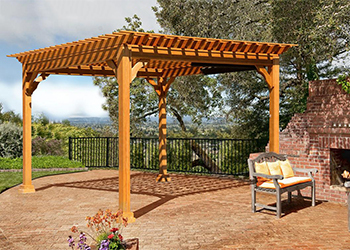 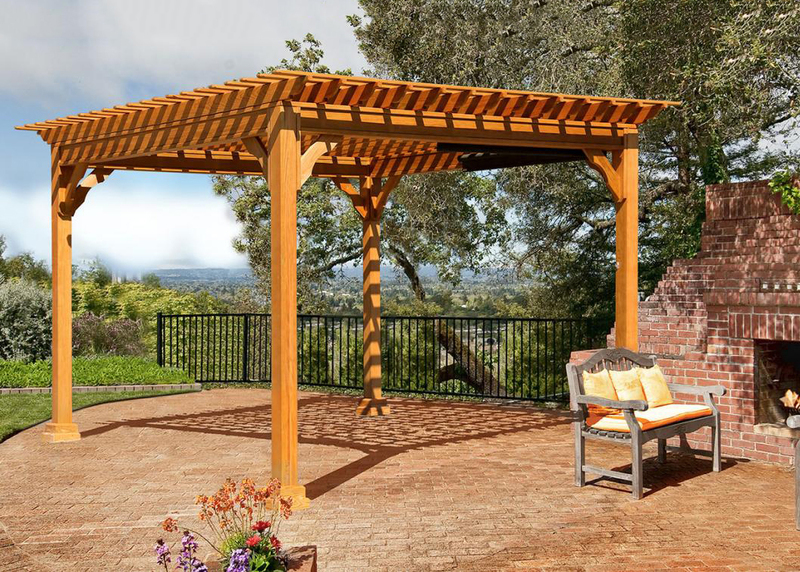 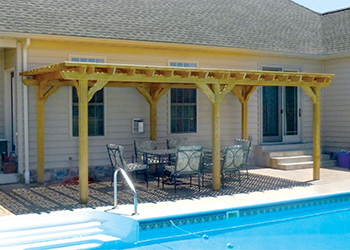 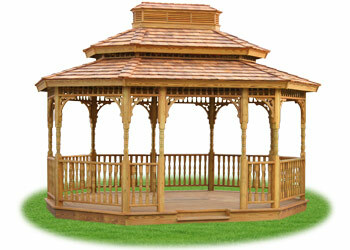 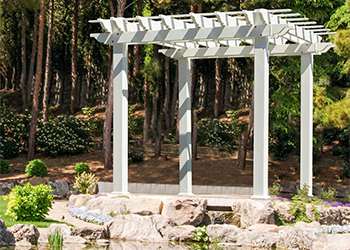 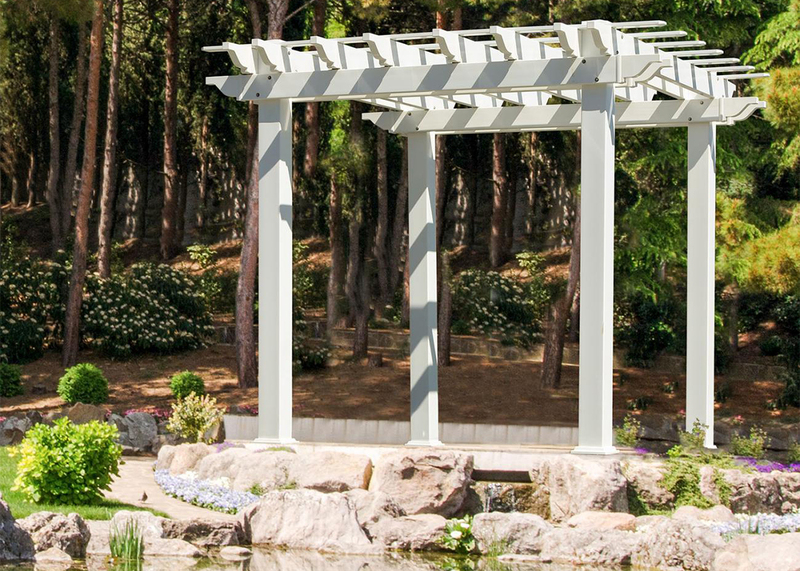 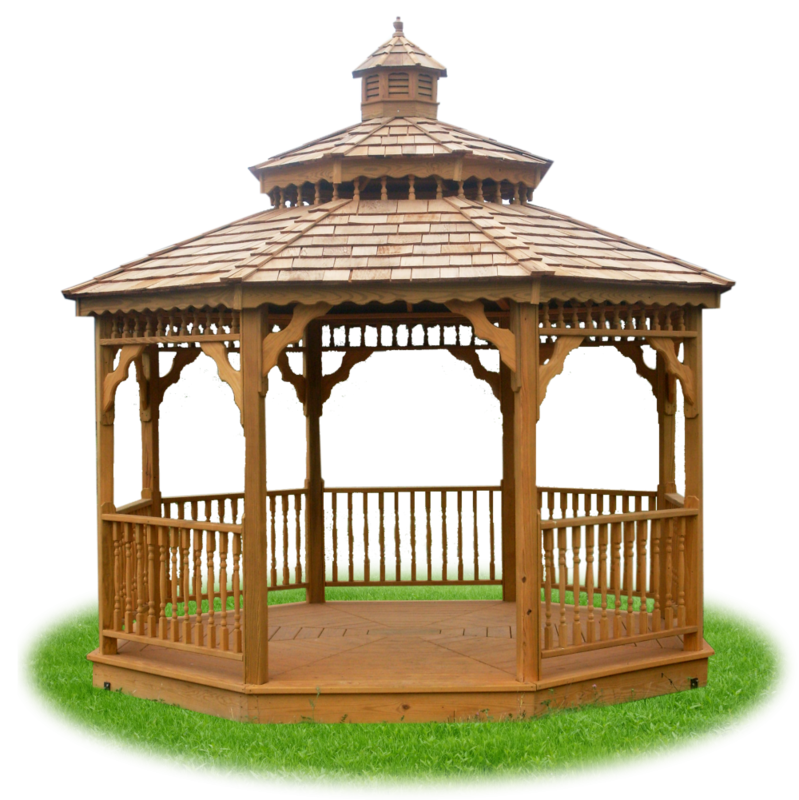 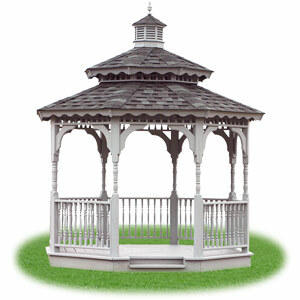 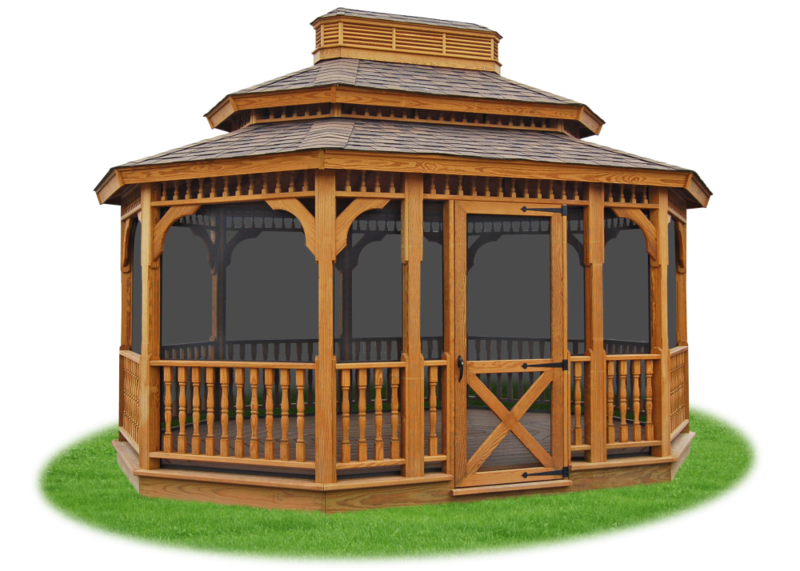 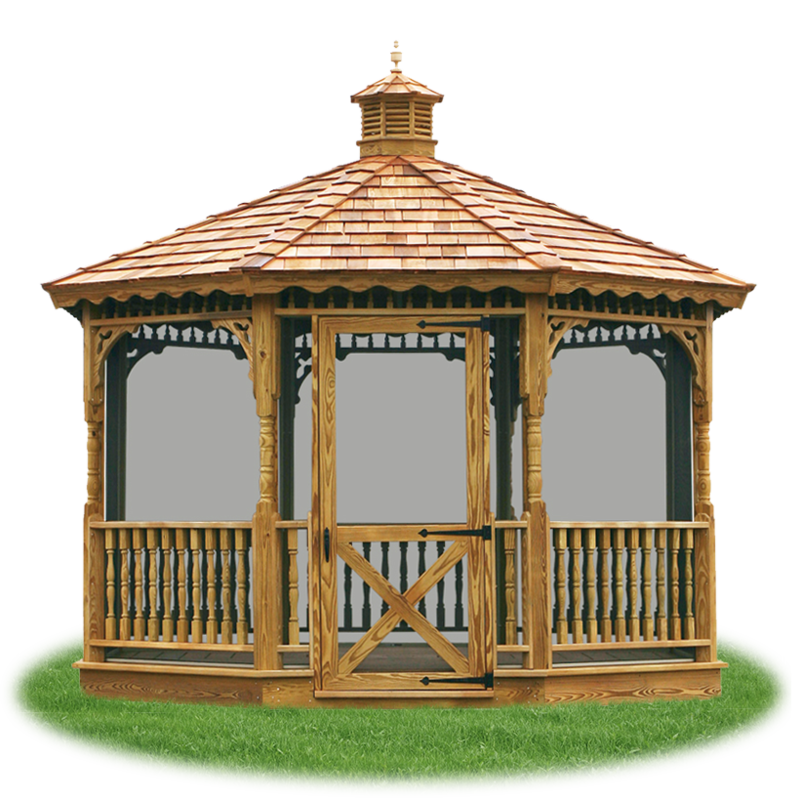 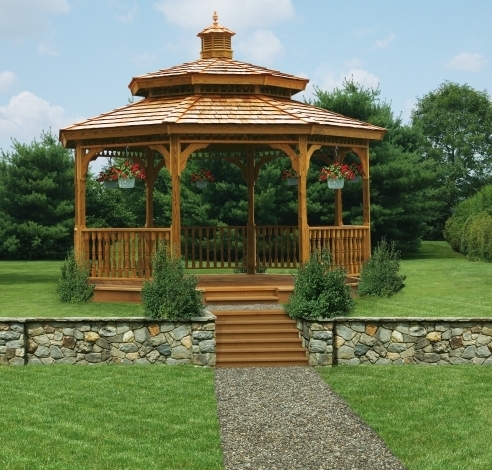 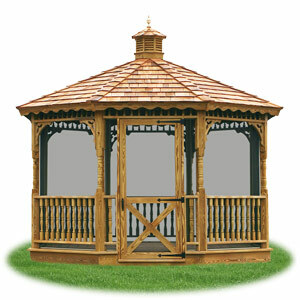 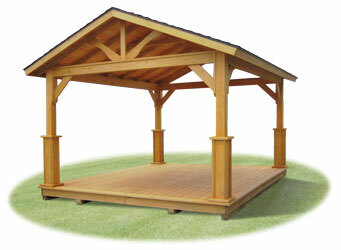 A pergola can be an elegant focal point to your landscape or the perfect addition to your pool area. 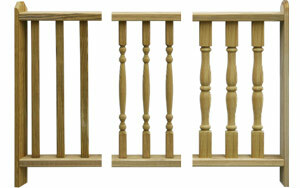 Available in wood or vinyl in a variety of sizes. 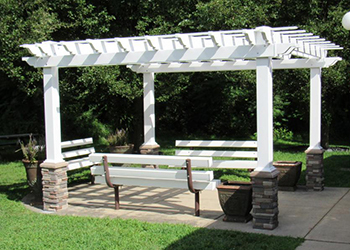 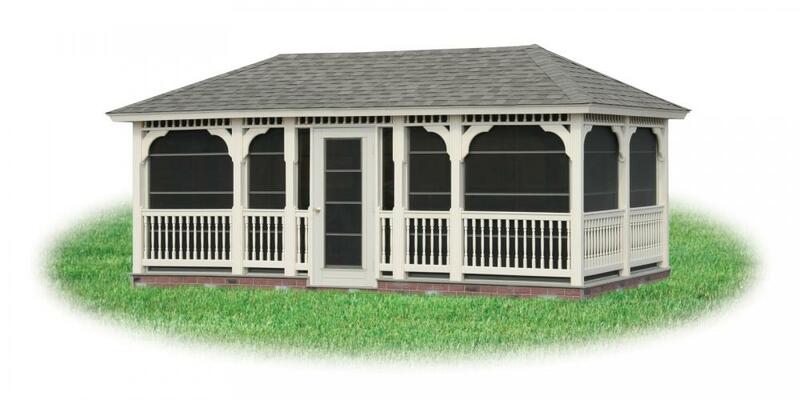 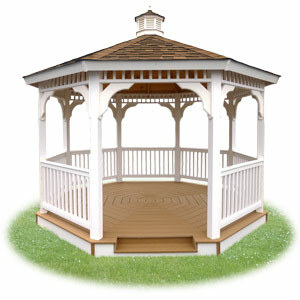 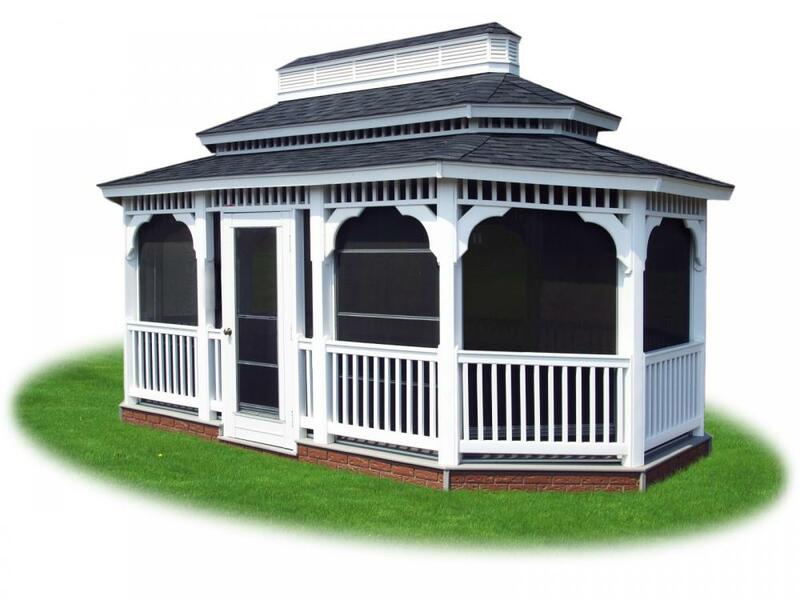 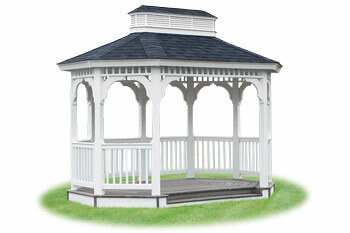 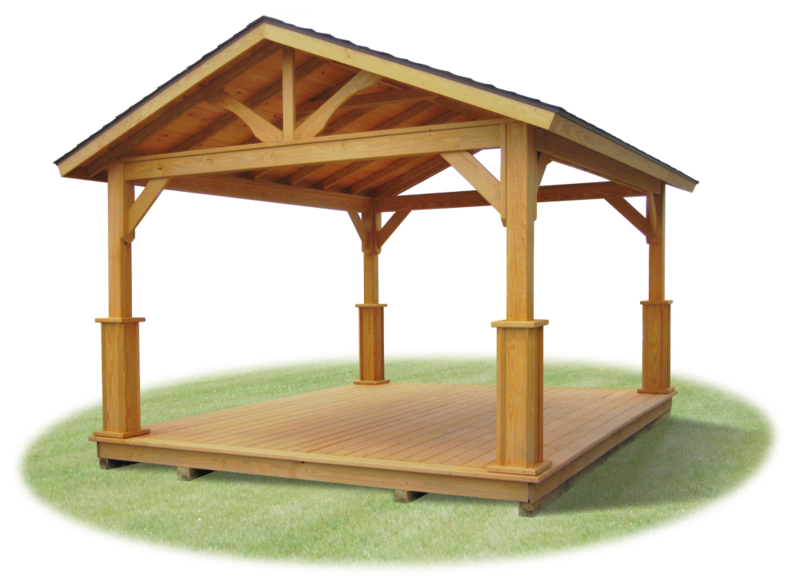 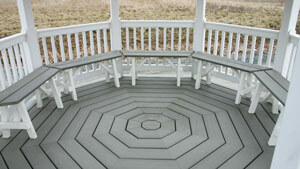 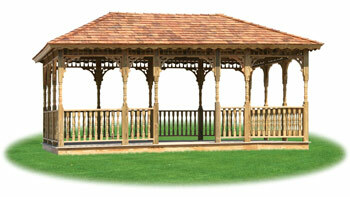 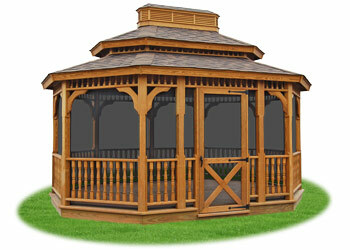 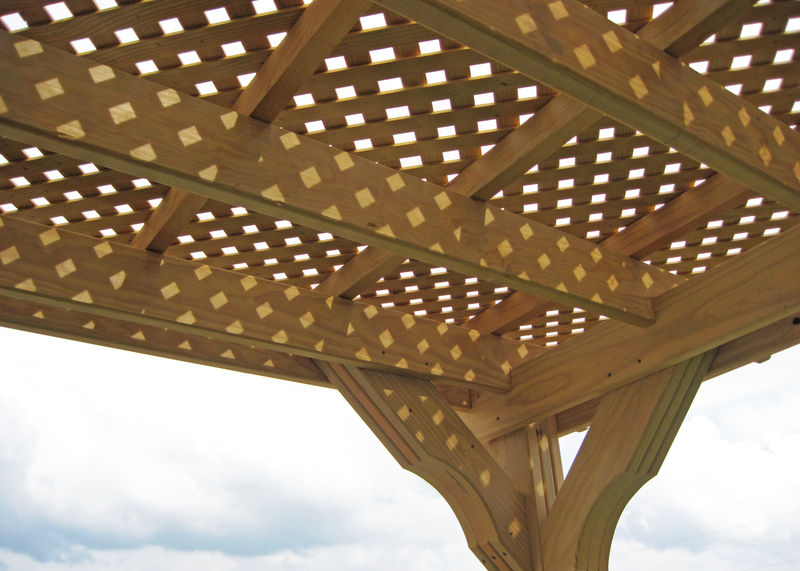 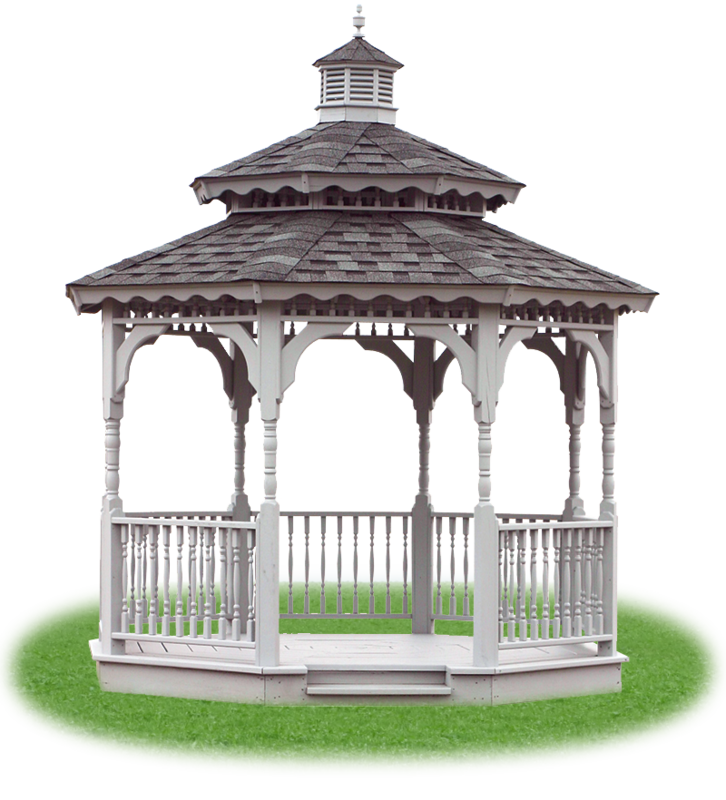 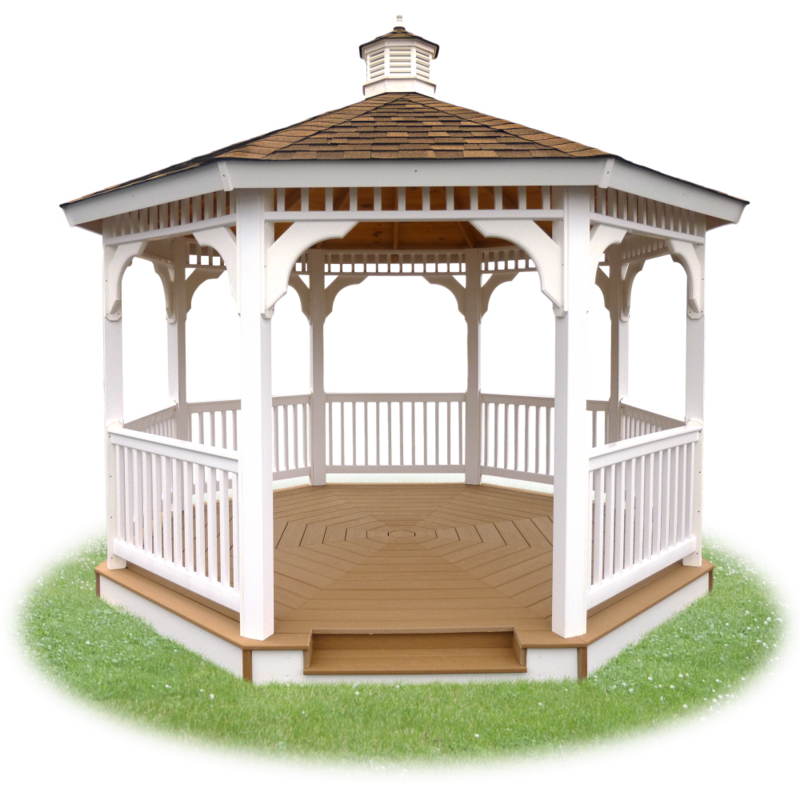 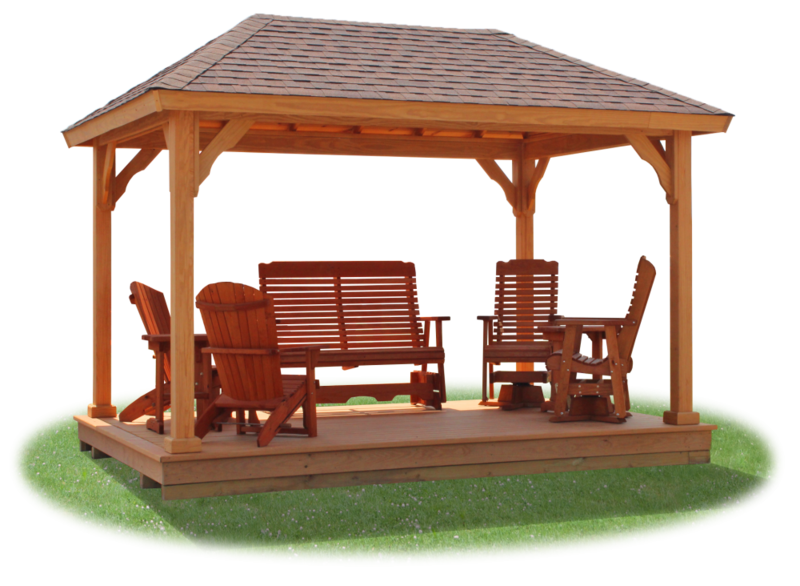 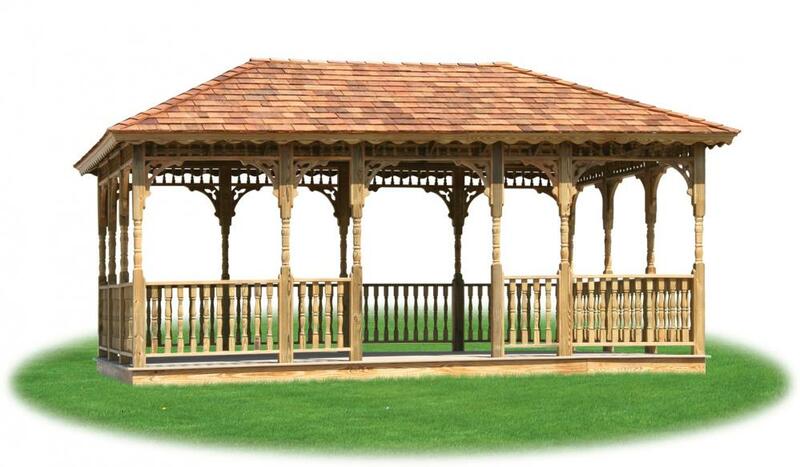 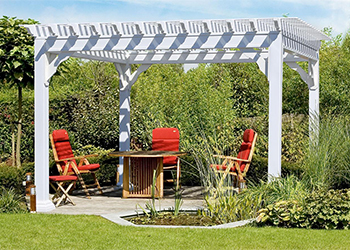 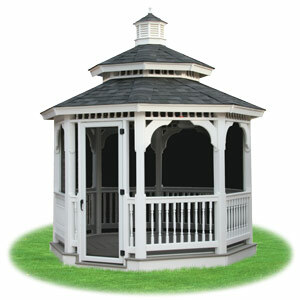 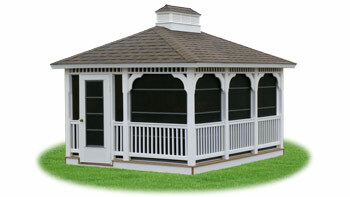 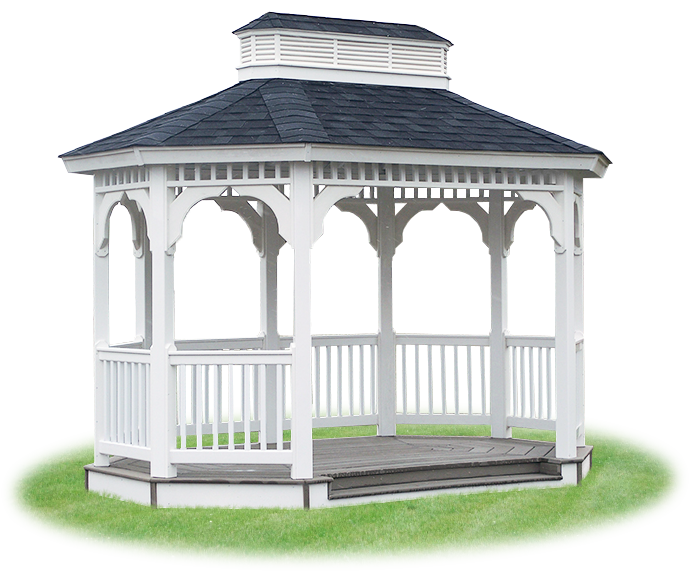 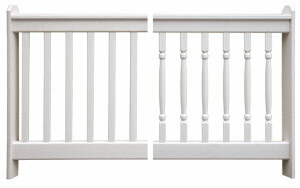 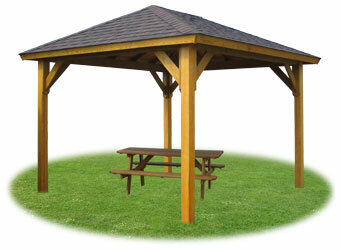 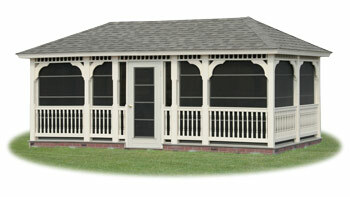 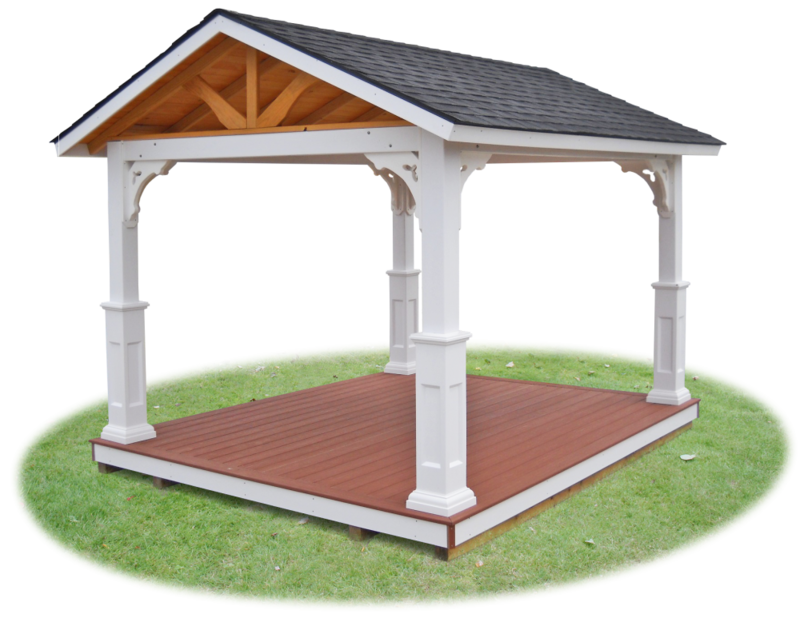 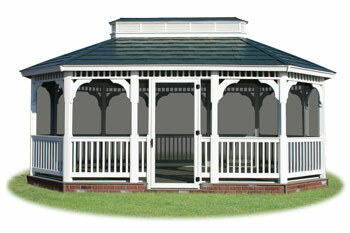 Pergola kits also available with detailed step by step instructions (complete with photos). 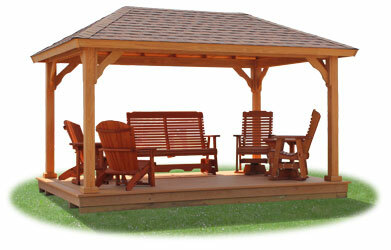 Check out our outdoor furniture webpage to see all your swing options! 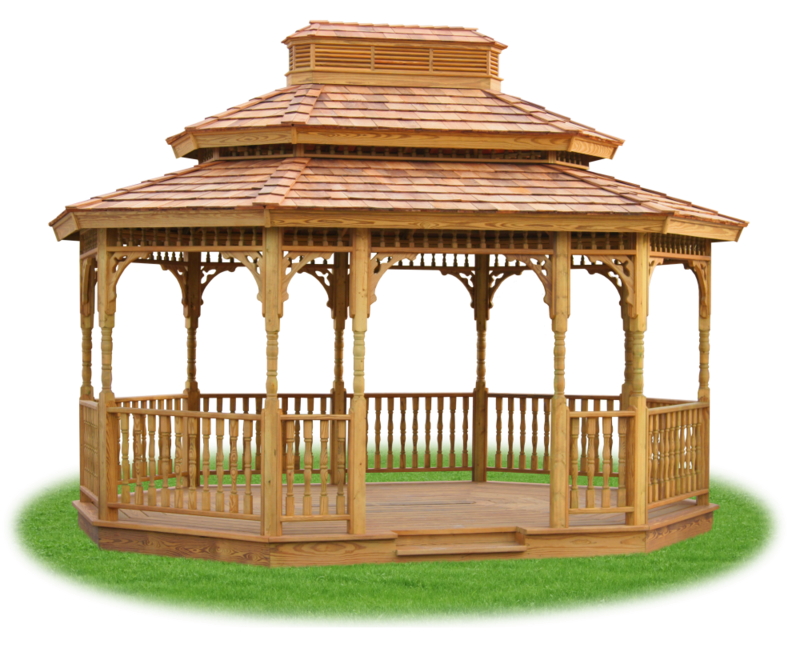 Wood Swingola with mushroom stain. 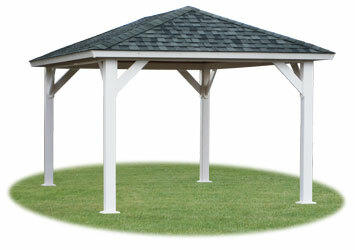 Sized to accommodate 5' swings (approximately 12' across from post to post). Swings sold separately. 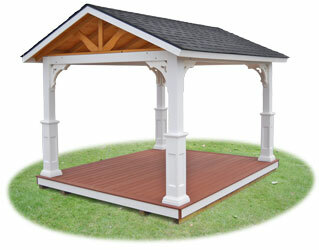 Wood Swingola with redwood stain. 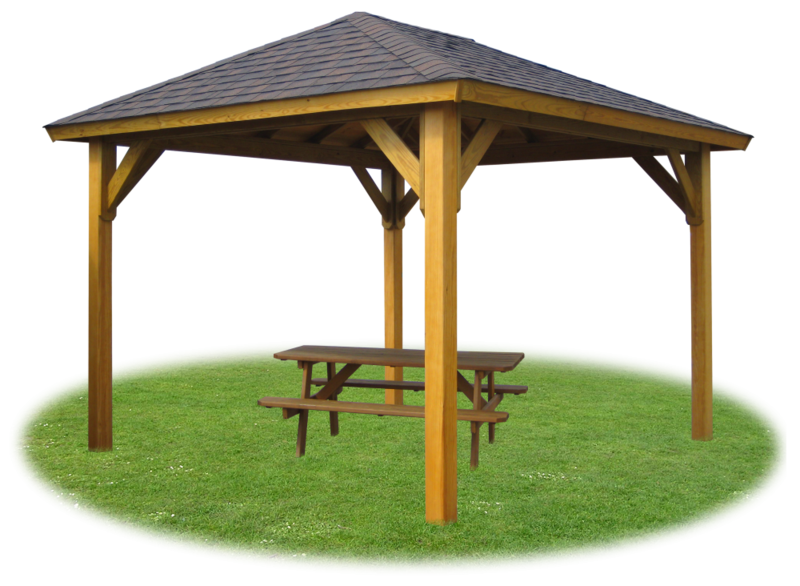 Shown without swings.